HAMILTON, Ohio -- Tonya Traufler said she couldn't believe what her daughter told a psychologist. "A lot of lies," she said. "None of it's true." 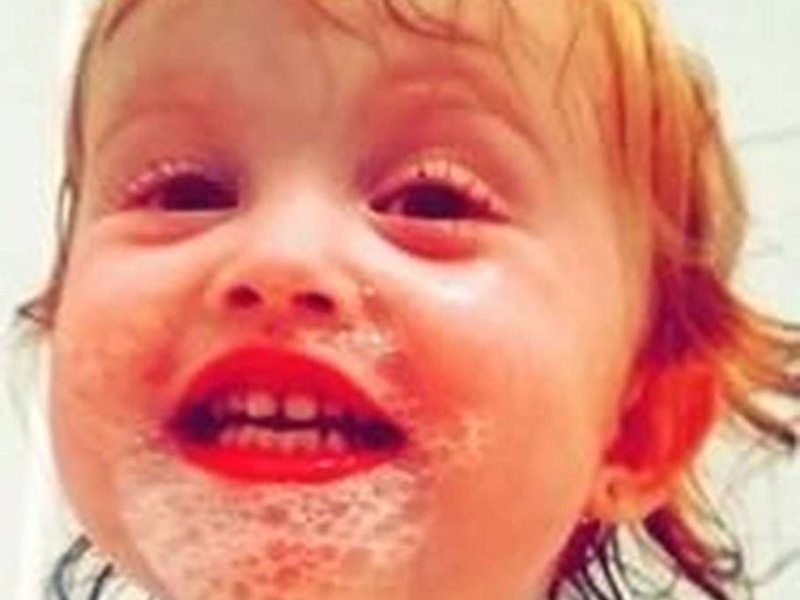 Traufler has remained largely silent while her daughter, Rebekah Kinner, and Kinner's boyfriend, Bradley Young, have been jailed in connection with the death of Rebekah's daughter, Kinsley Kinner. But after Traufler saw a psychologist's report, written as part of Rebekah's sentencing process, she said she couldn't stay quiet anymore. "I can't believe, even at 24 years of age, my daughter would stand and lie to get my feelings, to get sympathy from society," Traufler said. Rebekah Kinner pleaded guilty to involuntary manslaughter, permitting child abuse and endangering children. Young has pleaded not guilty; his attorneys have filed to have his case dismissed. While Butler County law enforcement officials have alleged Young beat Kinsley to death and that Rebekah did nothing to stop it, she's denied that version of events. Instead, Rebekah insisted to a psychologist, Dr. Robert Kurzhals, that she thought Young was perhaps disciplining Kinsley a bit too harshly. And she told Kurzhals her mother was largely absent during her childhood, that her mother belittled her and told her she wished she'd had an abortion. Traufler admits her relationship with Rebekah was distant over the years -- as a child, Rebekah stayed with her grandmother -- but she said she never told Rebekah she should have been aborted or burn in hell. "I just gave up fighting, because I had five other children in the home to take care of that I didn't have time to sit and argue with someone all the time," Traufler said. Rebekah's grandmother, Nina Kinner, told the psychologist that Rebekah was neglected during visits with her mother, that she and her sister weren't fed, had lice and wore dirty clothes to school. "Never have my children gone hungry, been dirty -- never," Traufler said. Traufler said she saw Kinsley once, just after she was born, but Rebekah cut her out of her life. She said she wouldn't see her granddaughter again until the 2-year-old was unconscious and on life support at Cincinnati Children's Hospital Medical Center, where she would be pronounced dead Dec. 3. And then finally, Traufler said, she said goodbye to Kinsley at her funeral. "Here was a child that I never got to know but the one time I got to see her and hold her," she said. When Rebekah was sentenced last week, Traufler said she was there, and that she told her daughter she loved her. "I love my daughter -- I always will, no matter what," she said. "But I just don't know what to say to her anymore. I don't know how to confront her and say 'Why? Why would you use me to try to get sympathy?'" Rebekah's attorney, Kyle Rapier, said he went over all the evidence with his client, as well as her grand jury testimony, and he believes she made a "knowing, intelligent and voluntary plea according to her own account, her testimony, and the evidence against her." Last week, Rebekah was sentenced to 11 years in prison. "If Rebekah was innocent, Rebekah wouldn't have gotten 11 years," Traufler said. "So her hands had to be tied in somehow." Young has another hearing June 7 on his attorneys' bid to dismiss his case. Traufler said she'll be there. "Her (Kinsley's) life has been stripped for good -- it's gone," she said. "I want punishment, not just for my daughter, but for the hands of the man who put my granddaughter in the grave."